The skincare market is a crowded one. Choosing something as simple as a cleanser can often feel like a complicated choice — so adding another step to our carefully-planned regimens isn’t a decision we take lightly. Despite this, we’re considering incorporating another category into our complexion care roundup: ampoules. At first glance, it’s easy to wonder what an ampoule is. To the uninitiated, these futuristic, single-use orbs look strange and unlike any other beauty product. The beauty industry is infamous for offering new takes on old skincare, but, after talking to some trusted dermatologists about the matter, it’s safe to say that ampoules are more than just clever packaging. Essentially, like serums, ampoules provide targeted treatments of powerful ingredients to address your most pressing skincare concerns. They are also generally intended to boost your routine, helping you to target your main skin concerns. One key difference, though, lies in the individual encapsulation (single-use packaging!) — and how it protects and stabilizes the ingredient inside. Whether that’s an antioxidant like vitamin C, a hydrating agent like hyaluronic acid, or a powerful pack of anti-aging peptides, using an ampoule is a way to ensure that when you open it, is the first time it mingles with the air or light of the world. Freshness of product and stability of ingredients is one of the main reasons dermatologists advocate for ampoules. “I’ve mostly found ampoules to be an effective product packaging format for oils, and active ingredients that need to be in a darker packaging to prevent light penetration, as light breaks down certain active ingredients.” Dr. Engelman says. Dermatologist Dr. Joshua Zeichner agrees, noting that it’s especially beneficial for certain ingredients to be packaged in this way. “Especially when you are formulating with ingredients that can be unstable, like vitamin C, and other antioxidants, putting them into a single-use ampoule is one way of maintaining their strength,” he explains. That’s why some brands choose to put infamously finicky ingredients, like vitamin C, in these special packages. 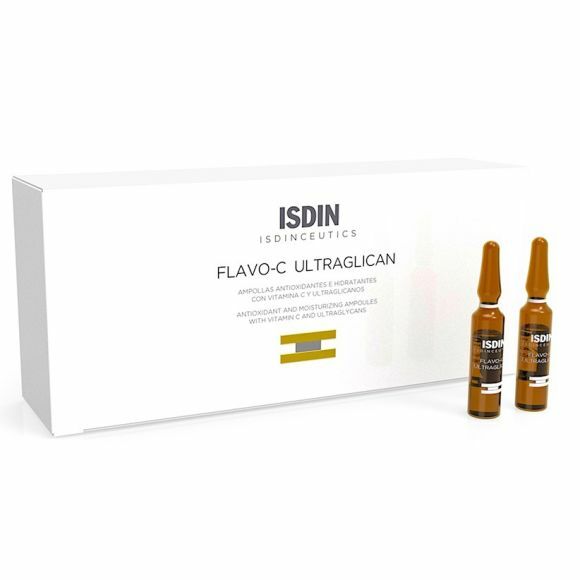 For example, cosmeceutical brand ISDIN Flavo-C Ultraglican Ampoules ($102 for 30 ampoules) offer antioxidant newbies an entry-level dose of protection, with a five percent concentration of vitamin C in the form of naturally derived L-ascorbic acid. Ultraglycans work to increase the skin’s natural production of hyaluronic acid and boost cell turnover. For a higher concentration of vitamin C, try Circ Cell Vitamin C Ampoules ($160 for 60 ampoules) which are filled with a thick, creamy serum containing a time-released form of 10 percent L-ascorbic acid which allows for long-acting protection. Rejuvenating peptides make the formula one that improves glow and firmness. Finally, for a general antioxidant and skin vitamin of sorts, try the newly launched Royal Fern PhytoActive Anti-Oxidative Ampoules ($195 for 15 ampoules). These brand new ampoules from German doctor Timm Golueke are major multitaskers using multiple antioxidants beyond vitamin C to an overall brightening, rejuvenating effect. Grape seed extract is an antioxidant, hyaluronic acid and fern extract to hydrate, and riboflavin and B2 soothe. The overall effect is skin that is protected from pollution and other environmental aggressors, and thus, healthier and glowier. But while lots of cool brands like Royal Fern are adding ampoules to their lineups, some, like Elizabeth Arden, have already had them for over two decades. Elizabeth Arden Advanced Ceramide Capsules Daily Youth Restoring Serum ($98 for 90 ampoules) were some of the first in this now-growing skincare segment, debuting in 1990 and they have been bestsellers ever since. The hero ingredient is ceramides (lipids that naturally occur in the top layer of the skin, but rapidly decline as we age). By restoring our ceramide levels, these capsules can help you look dramatically younger, strengthening the barrier and firming the skin. Tsubaki oil is nourishing and promotes elasticity, while retinyl, a form of vitamin A, work to prevent aging and even skin tone. 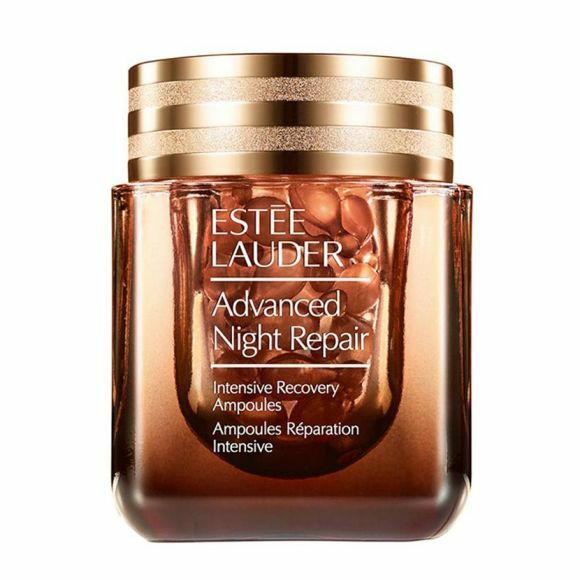 The overnight Estée Lauder Advanced Night Repair Intensive Recovery Ampoules ($112 for 60 ampoules) are all about encouraging the skin to regenerate and repairing damage. According to the brand, the secret sauce is Chronolux AI, a proprietary ingredient that calms, soothes, and works to support the self-repair that our skin does while we sleep. A host of botanical ingredients like squalene, kukui seed oil, apricot kernel oil, and chamomile extract leave skin conditioned and soft. These tiny ampoules are the perfect saviors to call upon when skin is stressed, be it from jet lag, seasonal shift, or sun exposure. 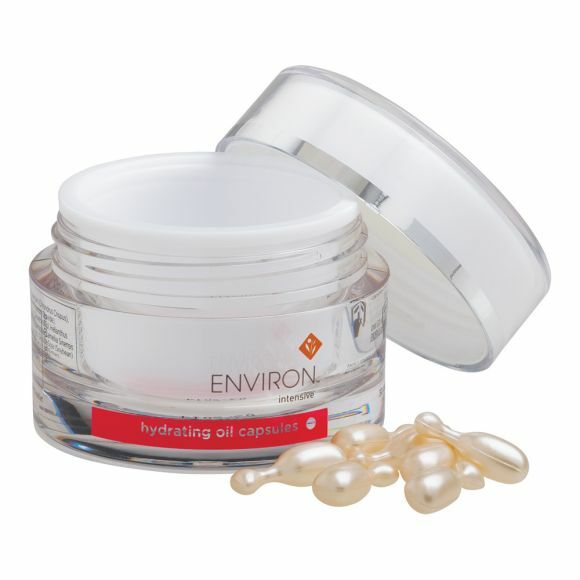 Another nourishing option comes in the form of Environ Vita-Antioxidant Hydrating Oil Capsules ($90 for 30 ampoules). They not only contain a potent blend of antioxidants (free radical fighting vitamin C, anti-inflammatory green tea, and emollient, moisturizing vitamin E), but they’ve also got the ultimate, multitasker for anti-aging, retinol, which works to keep fine lines and acne at bay, brighten dark spots, and stimulate the production of new skin cells. Finally, there’s a school of ampoules that act more like substitutes for serum, or more portable versions of them. Take the Dr. Barbara Sturm Hyaluronic Ampoules ($215 for 7 ampoules), which are simply miniature (and cute) takes on Dr. Sturm’s celebrated Hyaluronic Serum. These contain the crème de la crème of hyaluronic acid — a blend of long and short chain HA. When combined, they provide both instant plumping ang long-term hydration. Dr. Sturm’s signature botanical ingredient, purslane, provides antioxidant and anti-inflammatory benefits. 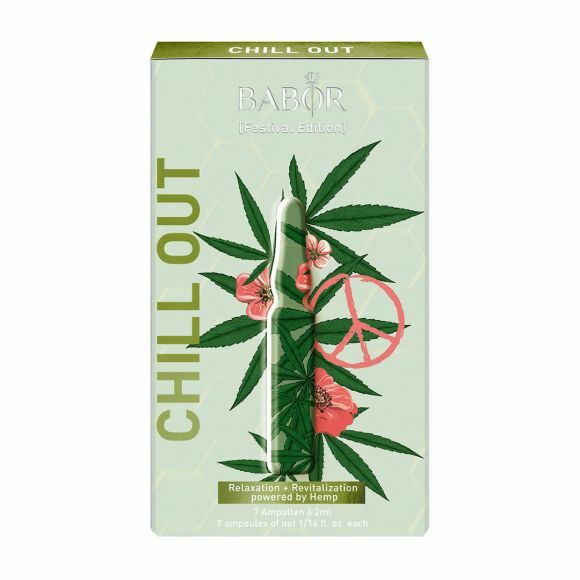 In other cases, they serve as little skin remedies—ready to be called upon in their time of need—like Babor Chill Out Ampoule Concentrates ($30 for 7 ampoules). This German brand takes the cake when it comes to ampoules — at press time, it offers a whopping 23 different ampoules, designed to address any skin concern you can imagine. Notably, it’s just released Chill Out, a milky green serum fortified with hemp seed oil, which is rich in omega-6 fatty acids. With aloe vera and panthenol to soothe, and cactus to hydrate, these make the perfect addition to your regimen after one too many days of travel. Finally, for the budget beauty addict, try starting your day with Beauty Pie Superactive Capsules Hyaluronic Acid & Biopeptide Microspheres ($65 OR $11.15 with Beauty Pie Membership for 60 capsules). 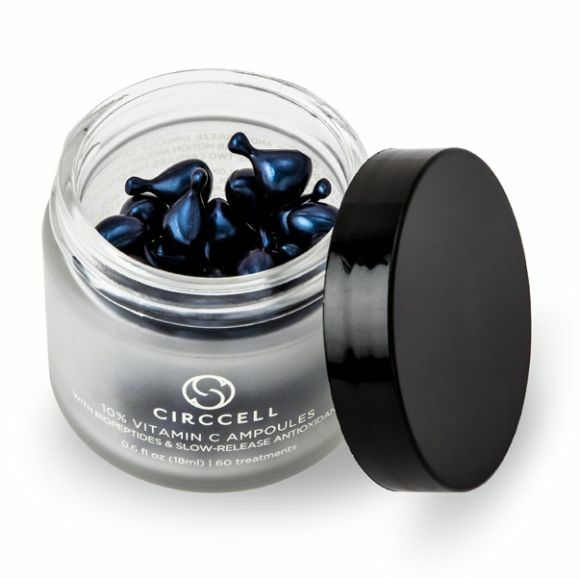 The slippery gel serum contained in these capsules works to hydrate the skin and simultaneously prime it for makeup. The namesake hyaluronic acid is hydrating, biopeptides fight signs of aging, and a silicone copolymer is responsible for the perfecting, blurring effect that comfortably and flawlessly preps skin.